Representatives from the European Commission and the European Parliament have used a conference in Brussels to highlight the growth and development taking place in the cruise sector. Speakers at the conference said despite challenging times confronting many at the moment, the cruise sector has held up well by providing jobs, supporting ship building and boosting tourism in many destinations around the world. The news will surely be pleasing to cruise travel insurance providers looking for a boost in policies being taken out as people head off on their summer holidays. According to Siim Kallas, the EC's vice president and commissioner for transport, Europe is the fastest-growing market in cruise travel, and the sector's economic contribution has reached record levels. He added there has been a huge increase in people taking cruise holidays in the last 10 years. 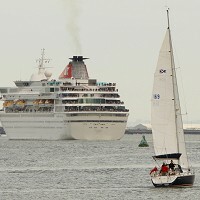 Since 2001, the number of holidaymakers opting for a cruise has trebled to six million. The region has also seen the christening of five new cruise ships this year, a sign that the sector will continue to enjoy success. These ships include the Costa Fascinosa, the MSC Divina and the Carnival Breeze. Brian Simpson, member of the European Parliament (MEP) and transport committee chairman, said: "Cruise tourism has a very significant impact on the local economies close to where ports are located, which is why it is important for many MEPs that the EU is active in promoting the tourism agenda."